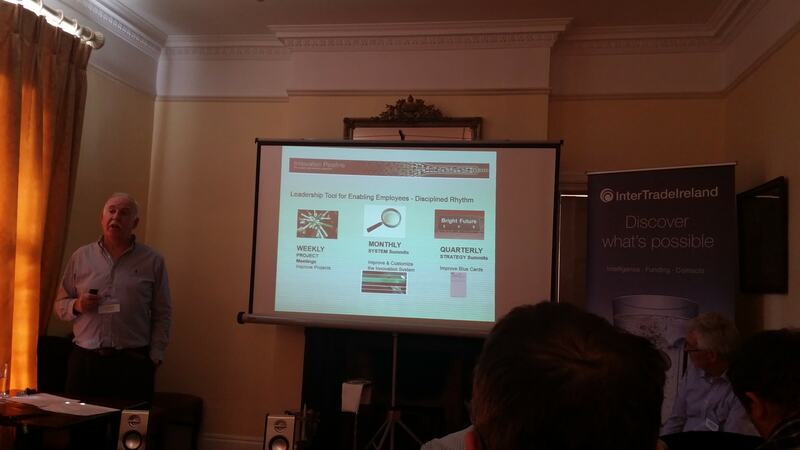 We recently attended the Intertrade Ireland Challenge event in the Maudlins Hotel in Naas. The seminar was based around how to develop new ideas faster, reduce risk and cost and to eliminate ideas that will not work with the emphasis of the briefing being “Fail fast, fail cheap”. Pictured is Graeme Crombie of Matrix Business Growth Consultants.